Substance abuse is a common form of coping mechanism for people who are struggling to handle the issues that are plaguing their lives. Prolonged consumption of drugs and alcohol could prove to be fatal, which is why every person who suffers from addiction should consider going to a home for sobriety in MA. When choosing a sober house in MA, you should select one that is trusted by fellow recovering individuals. You should stay in a sober house in MA that promotes respect among all residents and can help you grow as a person. One home for sobriety that fits the bill perfectly is Rise Above. Rise Above is categorized as a sober home in MA, not a medical facility or treatment center. Being a home for sobriety, we do not distribute medication or perform addiction-specific treatments. Instead, we serve as a safe haven for former addicts who have decided to turn a new leaf—the main purpose of a home to achieve sobriety. Essentially, our home for sobriety is here to serve as your temporary home while you are undergoing a healing process. The positive and encouraging environment of our home for sobriety complements our residents’ goal of eliminating substance abuse from their lives. Learn more about MA sober houses. Do You Need a Treatment Center or a Home for Sobriety? As part of a reputable sober home for sobriety, we at Rise Above subscribe to the concept of holistic recovery. Given this, we understand the importance of treatment in any recovery process. In fact, our eligibility guidelines state that you need to not use for at least 30 days before getting accepted into our home for sobriety. In the event you are in need of treatment, our home for sobriety can help you out. We are aware of the treatment centers in the area and can endorse you to a facility that is appropriate to your situation. 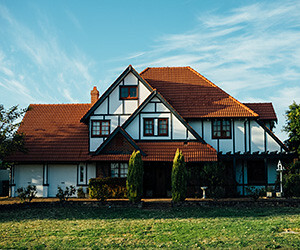 Once you have received the necessary treatment for sobriety and have remained so for at least a month, you can start living in our home for sobriety. Contrary to popular belief, staying in a home for sobriety does not mean that your life has to stop. Although having a job is not a requirement to live in our home for sobriety, we highly urge you to work and go on with your usual activities. That way, you’ll feel productive and connected to society throughout your healing period. However, we expect you to be actively and sincerely involved in a recovery program of your choice while living at our home for sobriety. That way, you will be making a concrete effort to heal your wounds during your time at our home for sobriety. There is nothing embarrassing about accepting the fact that your substance abuse has damaged you in certain ways. In fact, recognizing one’s weaknesses is an admirable trait that the residents at our facility possess. Rise Above is fully committed to empowering you, especially during a time when you need a shoulder to lean on. Making the courageous decision to stay in a home for sobriety is highly indicative of your desire to start anew. Your commitment to getting rid of your addiction can be made official once you start becoming a resident in our clean and comfortable home for sobriety. You can expect the full support of our friendly staff members the minute you decide to live in Rise Above’s home for sobriety. We look forward to your stay in our home for sobriety, and we hope that we get to play an instrumental role in your recovery. Reach out to us today! If you are someone who has fallen prey to the deceptive allure of substance abuse, always remember that it’s never too late to pick up the pieces. Rise Above is a community for sobriety that aims to support and empower individuals who have mustered the resolve to pursue a life of sobriety. Rise Above is not a treatment center, but a safe harbor where recovering addicts begin the process of healing—the main reason why you need to not use for at least 30 days before getting admitted. Members of our community constantly strive to find strength and inspiration in one another as they embark together on a journey toward a successful recovery. Rise Above is managed by individuals who have personally gone through the ordeal of drug and alcohol addiction. We have chosen to take an active stance in the recovery process, and that determination has allowed us to reap the benefits of sobriety. Now, it’s time for us to return the favor. At Rise Above, we want to provide our residents with the opportunity to take part in their chosen recovery program. We also have a highly effective and holistic sobriety program that serves as a suitable guide for individuals who are serious about fully recovering. Click here to learn more about our sober house in MA.